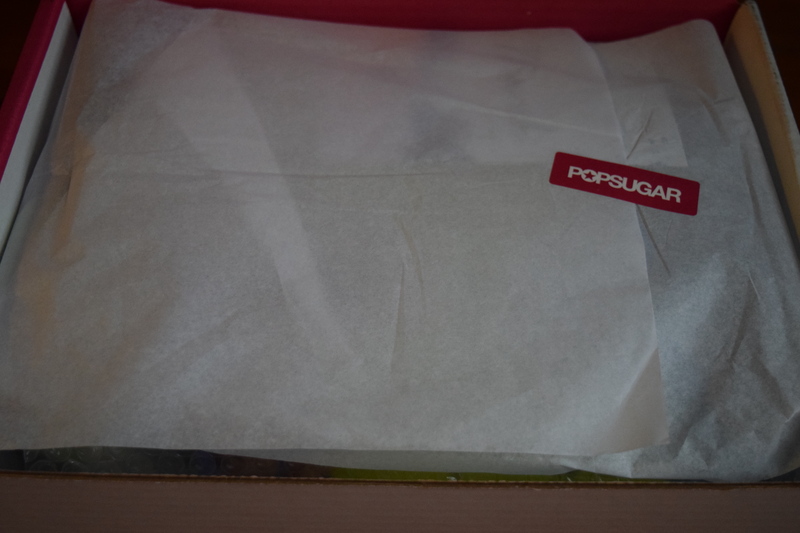 Popsugar: March 2016 & another CFDA Spoiler! It’s another rainy day in NYC and my best way of fighting it is with Harry Belafonte tunes (Shake, Shake Shake Senora!) and by wearing my favorite Jeffrey Cambell boots. I’ve been quite distracted and apparently been saving my March Popsugar review for a rainy day (which seems to be every day this week). Besides the scoop on this box I’ve also got another CFDA spoiler for you and the inspiration for the May Must Have Box, so let’s jump in. 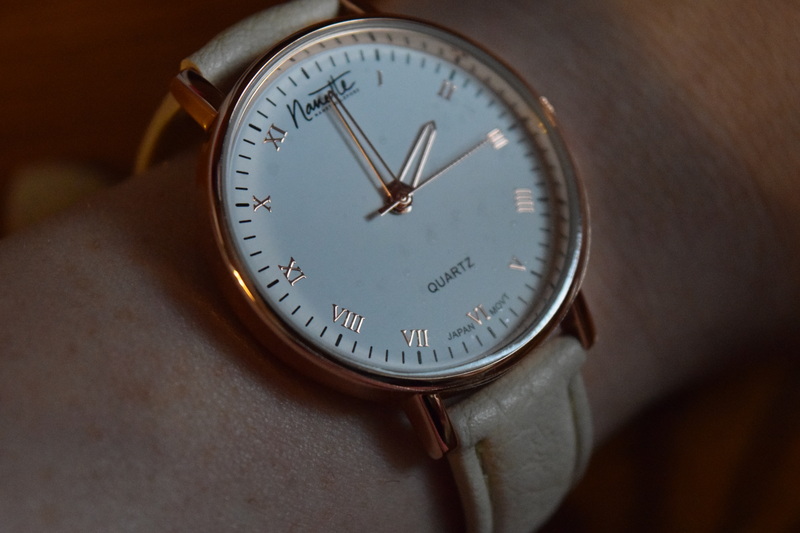 I love this watch so so so much. 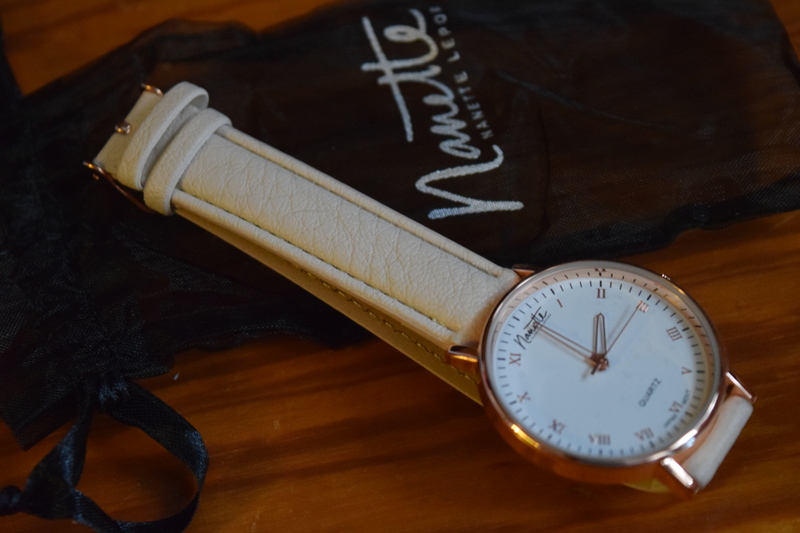 Rose gold is on trend and I have so little of it, and this watch is so classic and elegant I can wear it in a million different ways. The pale strap color works well with my skin tone and is perfect as we head into warmer weather. I love that it’s an exclusive and looks a lot more expensive than the $55 retail value. A great pick. I didn’t remove this from the packaging or swatch it because I may end up using it as a gift. 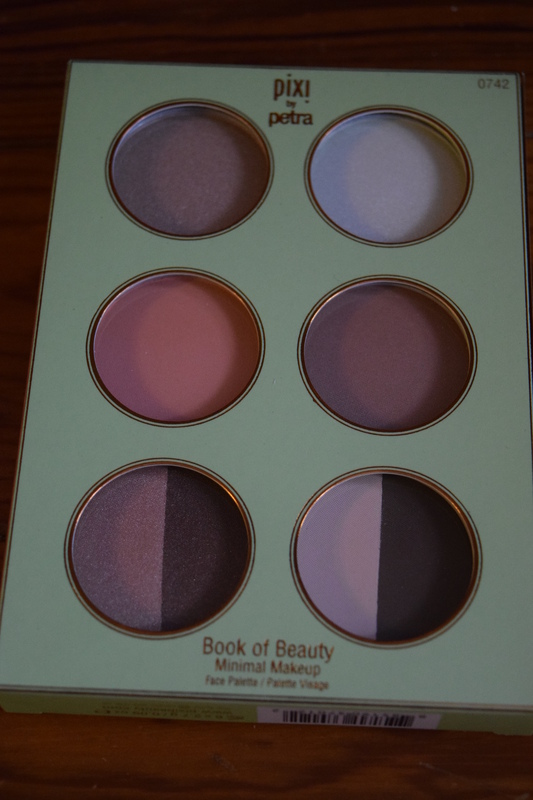 I think the shades are lovely and they do look like a great natural makeup collection. I currently have so many neutral palettes, I didn’t want to open another. I regularly clear out my makeup case and add in new things so this might make it into the next rotation. For ladies that aren’t makeup junkies with too much overflow, I’m sure this was a great pick. Popsugar didn’t have a link for this in the included card so I’m going to assume it’s an exclusive product. 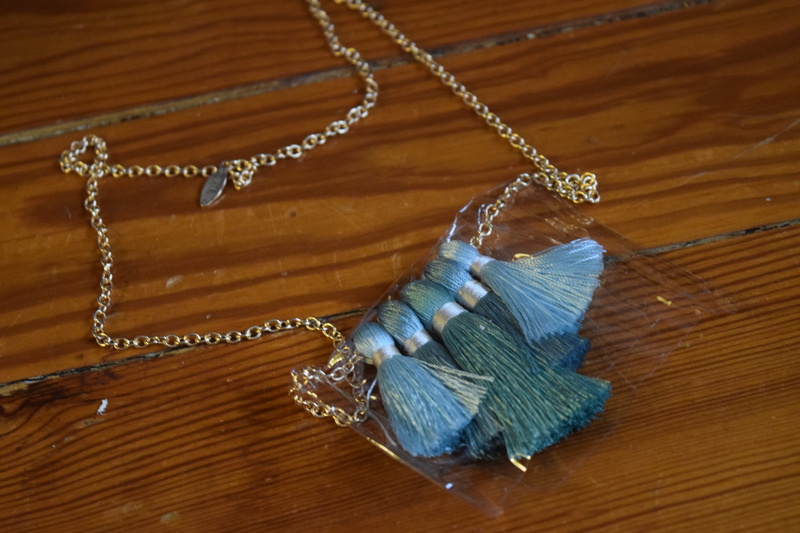 Now tassels are on trend and popping up everywhere. They can look festival chic or horribly cheap. Unfortunately I think this falls a bit on the latter side. 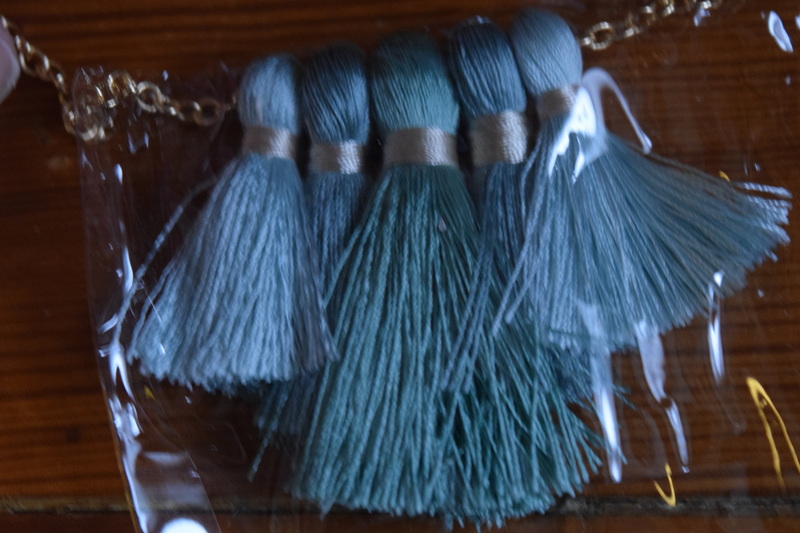 The color is lovely, but the fringe on the tassel has super thin strands and it just screams out curtain tie from 1979. I kept the plastic cover on it, because I think as soon as I take it off, this thing will start disintegrating in record time. I love the color and the idea, it just needed better execution. I also am not seeing $38 here. 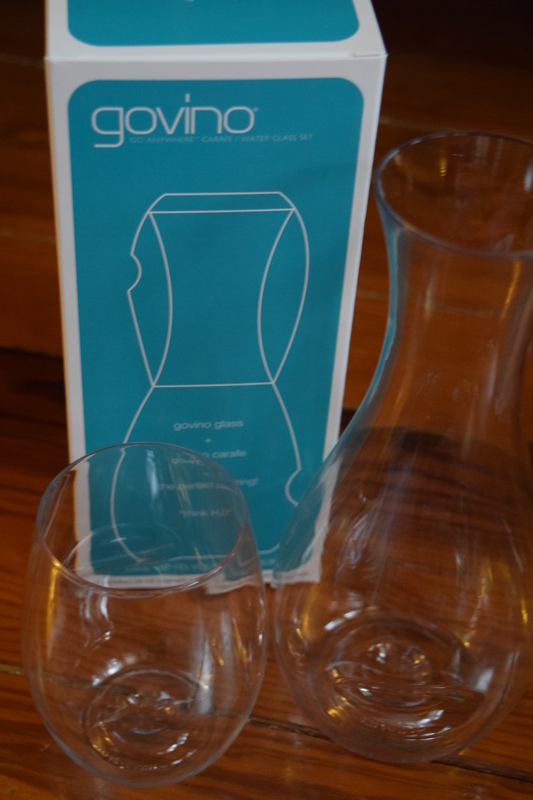 This was perfectly timed because I’d been looking for a carafe and glass set for my bathroom (to use with mouthwash). Most were glass and in my teeny-tiny, overcrowded bathroom I was sure I’d knock it over. This version is plastic and unbreakable so perfectly suited for my purposes. This would also be great to keep on a bedroom nightstand. I couldn’t find this exact set on the Govino site, but I linked to a similar one with two glasses. 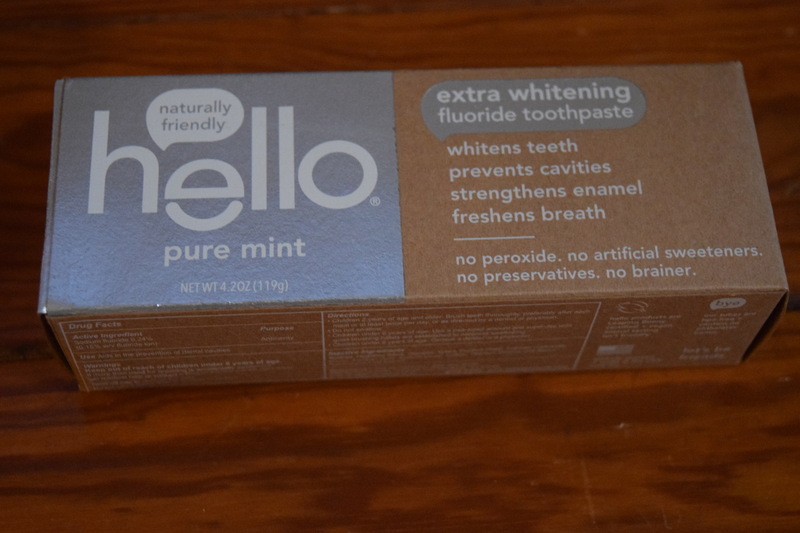 One of my wishlist items for sub boxes this year were more everyday luxury items, so I’m actually excited to get fancy toothpaste. I really appreciate the “green” qualities to this brand. These were super tasty. I paired them with the lemon cookies and tea I got from my Try the World box and had a little tea party in my living room. 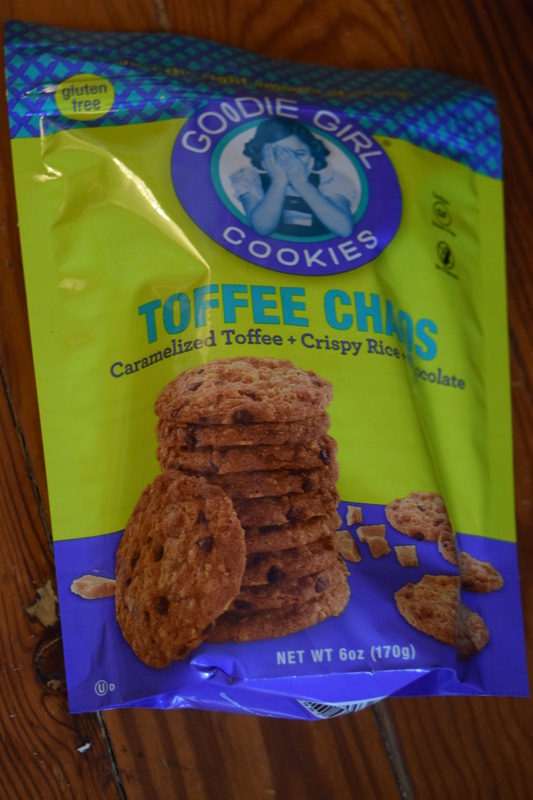 I thought it was quite nice for Popsugar to include a gluten free treat for the folks that often get left out of the fun baked goods. Despite being a sub box junkie, I’m very particular about my feminine hygiene products so I’m not going to use this one. It does look like the card covers 1 box of tampons so at least you don’t have to spend money in order to use it. With my prepaid discount this box only cost me $24.91 and the estimated box value (excluding the special extra) was $141.43. I loved the watch so much that it really made everything else in the box an extra. I thought the box had a nice light spring feel to it and that the curation made a lot of sense. This was another good collection from Popsugar. Spoiler: every box includes a pair of Illesteva Leonard sunglasses. 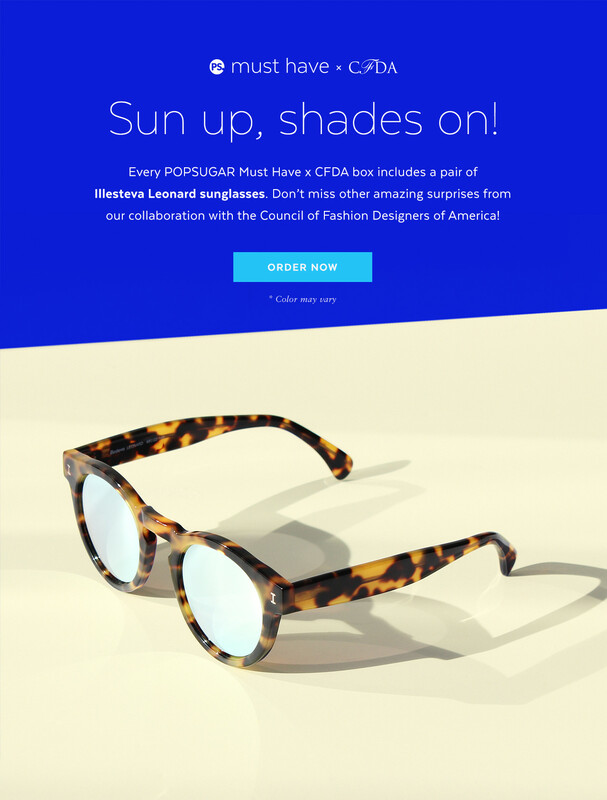 Popsugar has released a second spoiler for their CFDA box. 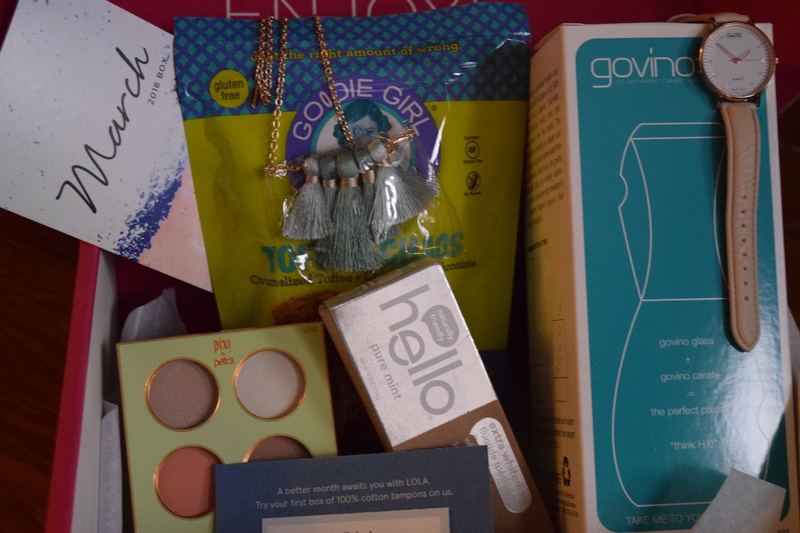 (To see the first one, check out my review of the April Mini Box). I’m guessing after last year’s CFDA box disaster, sales on this one are slow. These shades definitely look fun, but they haven’t swayed my resolve in staying far away from this LE box. Popsugar has released the inspiration for the May Must Have box. I’m going to be a bit controversial and say that I’m disappointed. I sort of hate fitness items in non-fitness sub boxes. You end up with a cardio DVD even if you don’t have space to do use it or a jump rope when you have joint problems. Fitness is so personalized that it can be difficult to find items that really work for a majority of folks. I’m also hoping hydration doesn’t mean we get yet another water bottle. I have glass, plastic, with filters and fruit infusers and so on. I really don’t need or want any more of them. 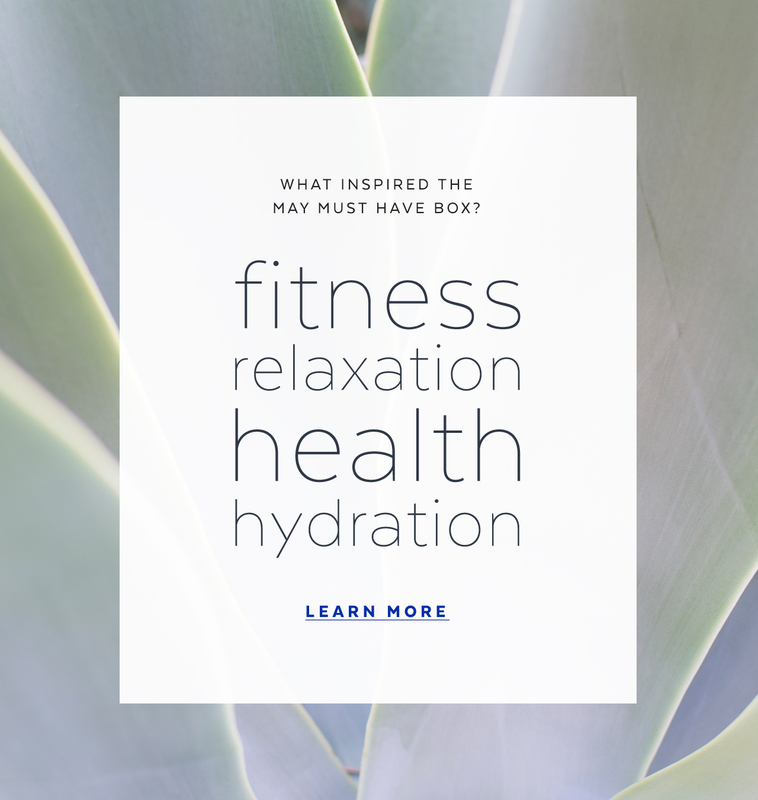 What do you think of the May theme? Are you disappointed like me, or looking forward to it? Can I have the coupon code for the feminine hygiene product of you still have it? I like any new brand for TOM. Unfortunately it already expired, or I’d have gladly sent it to you. Sorry!